NVIDIA made a big splash on the supercomputing front when it launched the Tesla K20 last year, much more so than any previous GPU compute accelerator, and now it hopes to repeat the feat. 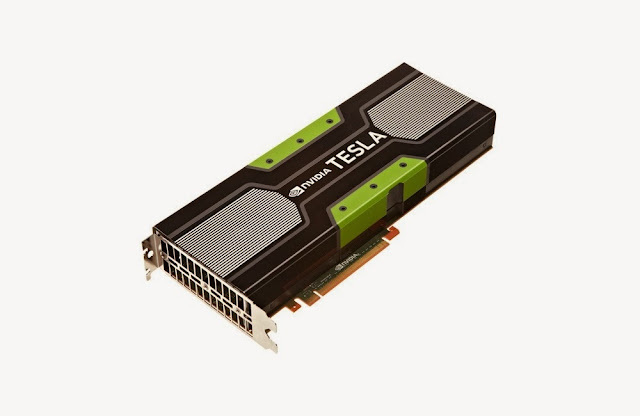 The company has introduced the Tesla K40, a Kepler card featuring 2,880 CUDA cores and 12 GB of RAM. It should be able to crunch numbers 40% faster than Tesla K20, despite its only having 192 more processing cores. Don't be shocked by the distinct lack of video ports. This card is specifically made for parallel computing. It won't be displaying images anytime soon. Servers using the card already exist, and the University of Texas at Austin intends to use it in the Maverick remote visualization supercomputer (which will be put online in January 2014). IBM's Power8-based servers should soon support Tesla K40, as NVIDIA has made a partnership with it.